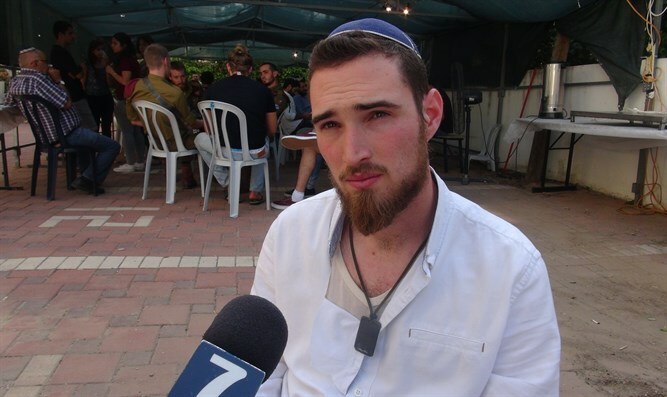 Brother of Ronen Lubasrky, killed when terrorist threw a marble block at his head: family of terrorist has received NIS 4 million from PA.
Arik Lubarsky, the brother of Duvdevan soldier Ronen Lubarsky, who was murdered in an operation in a refugee camp in Judea and Samaria when a terrorist threw a marble block at his head, revealed in an interview with Arutz Sheva that the Lubarsky family seeks the death penalty for the terrorist who killed his brother. "Tomorrow he will be indicted, and we intend to be there to demand the death penalty. This is possible in a military court. It is the right sentence, and we hope that it will be possible," he said. Lubarsky also referred to the bill to offset the salaries of terrorists from the Palestinian Authority. "In the family of the terrorist who murdered my brother, there are four terrorists who have received NIS 4 million from the PA to date. While we lost the most precious of all, they continue to murder and receive money from the Authority." The bereaved brother also appealed to the Finance Minister to demand that the State of Israel cancel its support for Amnesty International. "My brother has given his life for the sake of the State of Israel, and the State of Israel chooses to finance the Amnesty organization, which calls my brothers and friends war criminals and tries to put them on trial in The Hague. I call for depriving Amnesty of the funding under the Boycott Law. Otherwise we are giving money to persecute our soldiers."